SYDNEY, Australia -- The pregnant Duchess of Sussex has had her schedule cut back during her first royal tour, after a hectic start to her visit to Australia and the South Pacific with husband Prince Harry. 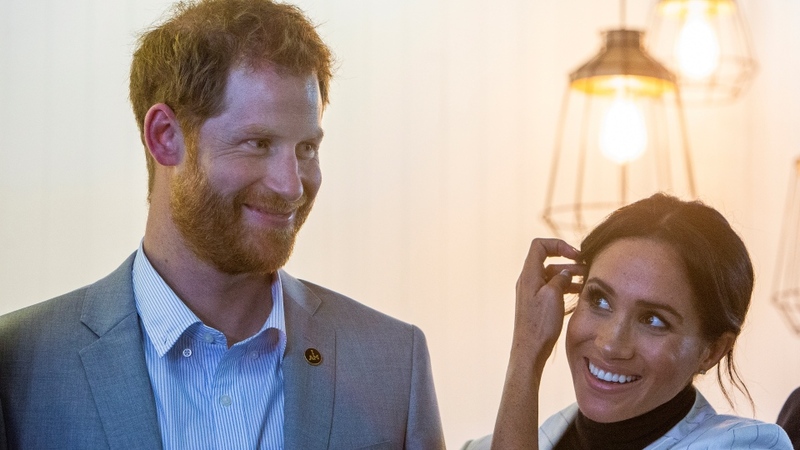 The tour is an extremely busy one, with the royal couple scheduled to attend more than 70 engagements during a 16-day trip across four countries. 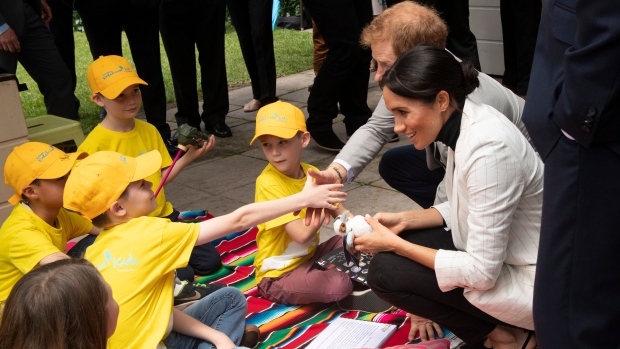 Meghan, who is due to give birth in the spring, skipped an event in Sydney on Sunday morning, leaving Harry to attend a cycling competition at the Invictus Games alone. She later joined the prince to watch sailing events, and at a lunchtime reception hosted by Australian Prime Minister Scott Morrison. Kensington Palace said the royal couple had moved to reduce Meghan's schedule ahead of their visit to Fiji, Tonga and New Zealand in the second phase of their tour. Meghan's envisaged role on a scheduled Monday trip to Fraser Island, off Queensland state in Australia's north, was unclear, with the palace statement saying only that "the Duke will continue with the engagements on Fraser Island." The couple are due to leave Australia for Fiji and Tonga on Tuesday. They will return to Sydney on Friday night for the final days of the Invictus Games, Harry's brainchild and the focus of their tour, before finishing off with a visit to New Zealand. Harry spent considerable time at the lunchtime reception chatting with competitors assembled for the Invictus Games, which gives sick and injured military personnel and veterans the opportunity to compete in sports such as wheelchair basketball, and to find inspiration to recover.